Hungary’s foreign ministry said Timmermans “should resign from his post after having accused Hungary’s prime minister and the country’s government of anti-Semitism”. Foreign Minister Peter Szijjarto said that the comments were an “unfounded accusation” and that Hungary “has done more than anyone in Europe to combat anti-Semitism”, a statement said. It added that Budapest “has major issues” with the Hungarian-born financier and philanthropist but that “these disputes have absolutely nothing to do with George Soros’ origins or religion”. 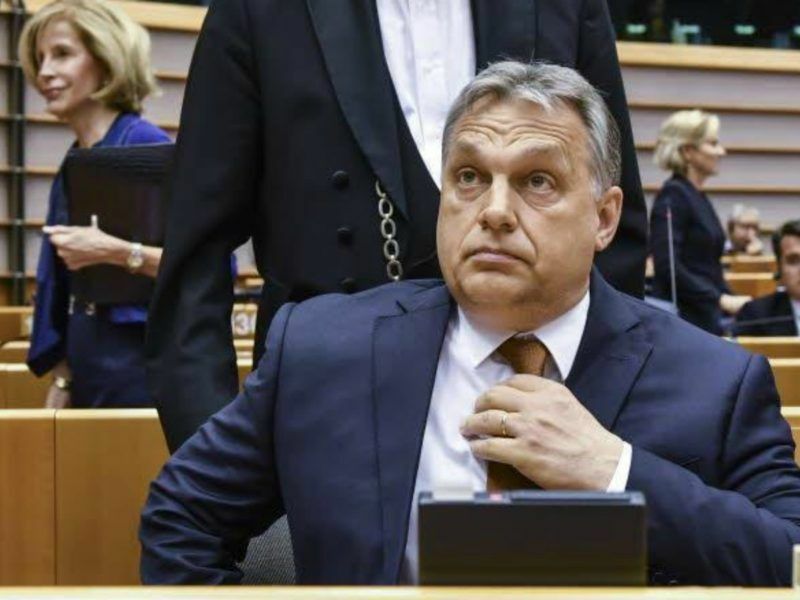 Orbán on Wednesday (3 May) told the European Parliament that Soros was an “American financial speculator attacking Hungary” and that the financier has “destroyed the lives of millions of Europeans”. 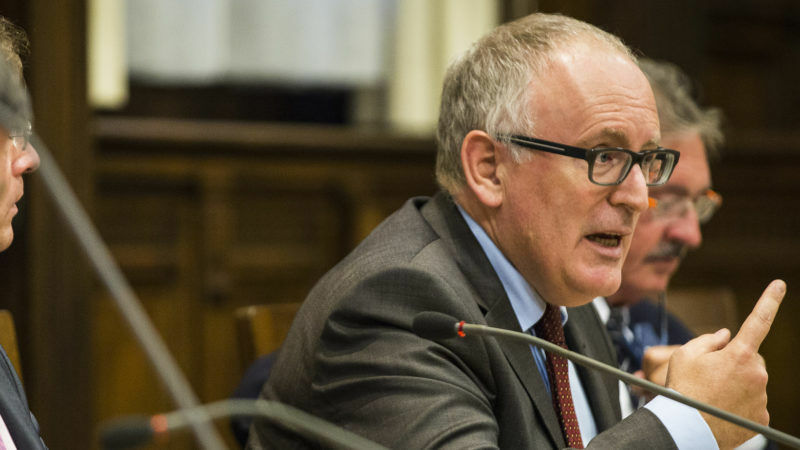 Asked in an interview with Germany weekly Die Zeit published yesterday (4 May) if he thought the comments sounded anti-Semitic, Timmermans said: “I understood that in exactly the same way as you and was appalled”. 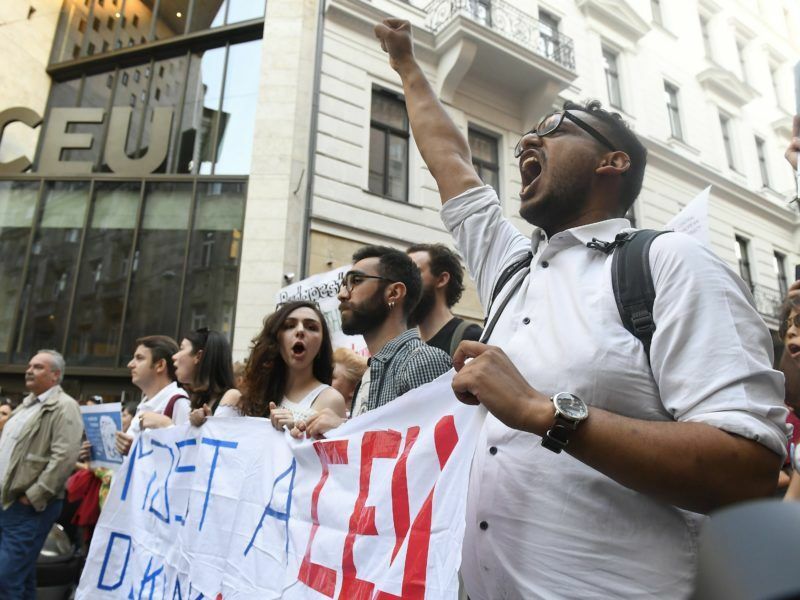 Orbán was in Brussels to defend education legislation that the Central European University in Budapest, a highly respected institution founded by Soros, believes is aimed at forcing it to close. The legislation has drawn street protests and international concern including from the US State Department and an open letter signed by more than 900 academics around the world. Orbán has accused the university, set up in 1991 after the fall of communism, of “cheating” and of having an “unfair advantage” over local institutions. These are allegations that have been rejected by the CEU as “defamatory”. Orbán’s government also aims to oblige non-governmental organisations receiving above a certain amount of foreign funding to register and stamp any publication with “foreign-funded organisation”. Orbán, a strong admirer of US President Donald Trump, has long accused Soros, 86, of seeking to undermine Europe by backing immigration, calling it the “Trojan horse of terrorism”. Ironic that the Arab-loving EU uses the pretext of antisemitism to attempt to counter criticism of the likes of Soros and Macron. What are you somking mate & who is your dealer? I share a wine merchant with Herr Juncker. Who votes this down? It is rather obvious that the EU is anti-Israel and pro-Palestine. In addition it is death set against discrimination when it comes to immigration control, which means in practice that in the name of universal humanism it enables millions of predominantly male Muslims to enter Europe. They feel all enlightened with this color blind policy but the reality is that this policy totally disregards the interests (mostly the security of their future freedom) of native Christians, Atheists and yes, also Jews…well everybody not Muslim or not wanting to be Muslim. OK he does not like Soros. “Asked in an interview with Germany weekly Die Zeit published yesterday (4 May) if he thought the comments sounded anti-Semitic, Timmermans said: “I understood that in exactly the same way as you and was appalled”…..erm….. nope ……..Orban does not like Soros – end of. You can argue on the “destroyed the livs of..etc” -but anti-semitic – oh please – pull the other one – it has bells on (& for the record – I think Orban is a bit of a knob – that said Soros is not Mr innocent either. Soros said that his happiest day was the day nazi army and GESTAPO invaded Hungary & persecution of Jews started. Who is anti semitic? I hope Orbán close that college. Soros is a danger for any free country! Sure, a Jew would say that, of course. It is all very logical. Soros is a former Nazi collaborator who provides hundreds of millions of dollars to NGOs, pseudo-educational organizations and media groups who support his vision of a world without borders run by an international oligarchy. His legacy will be that of another Orwellian fascist. Timmermans should consider it a badge of honor to be attacked by this man. The EU needs to get firm with Hungary and Poland. These crooks need to go. Exile them to Russia. I’m sure they’ll love licking Vladimir’s boots. Yes! Those opposed to the Soros plan to have Europe colonized with hordes of Muslims are against Jews, against gays, against women and what else? Fact is that Muslims will become the majority population of Europe within decades if things continue down this path, with the native Europeans well on their way to ethno-cultural extinction by then. The timing may be up for debate, but not the eventual result. I am yet to hear a viable argument from supporters of this ethno-cultural suicide path, which would suggest that women, gays and non-Muslims in general will not suffer, same as they increasingly do at the hands of Islamists in Muslim majority countries. Given that European Muslims provided as much as 1/3 of all foreign ISIS fighters in Syria and Iraq, and the more recent show of Islamist sentiment by the Turks in Europe, majority of which voted for Islamist Erdogan’s expansion of powers, the whole “they will integrate and adopt liberal values” slogan is increasingly laughable. Muslims in Europe seem to be more prone to holding Islamist sentiments than those in the traditional majority Muslim countries.